I am trying to determine what the small inner plate is called. Back end of the motor looking towards the transmission. 2001 Tundra V8 2WD. Yes I know I have a small leak. 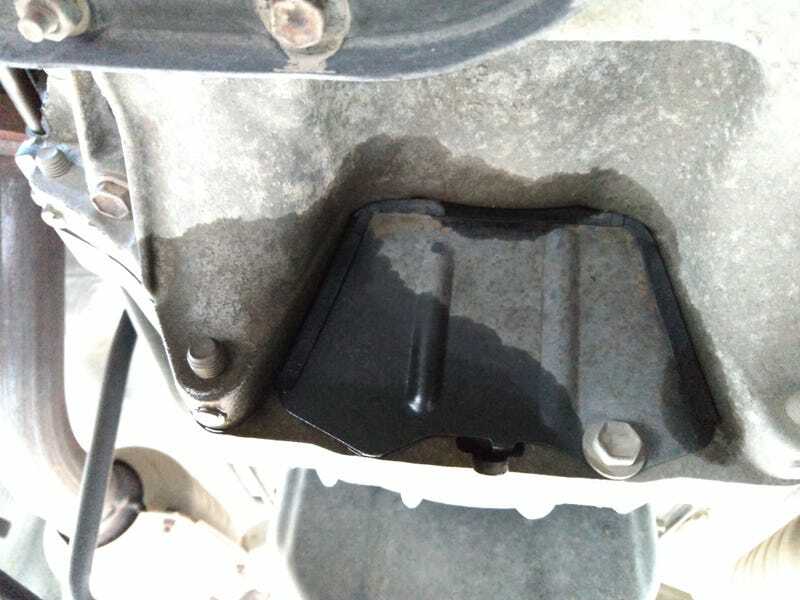 Update: Tech diagnosed that the critical leak was the valve cover gaskets. While there was some seepage from the rear main, they advised not to replace it for now. So I got the truck back for cheaper and quicker than originally estimated. I will continue to watch this drip.